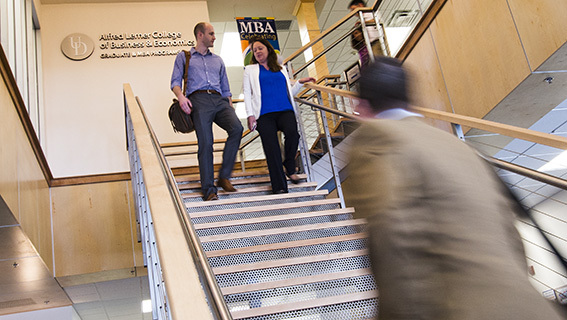 The information technology MBA concentration provides valuable skills for those working in the IT field, and helps those with IT backgrounds to update their current knowledge. This program consists of a unique blend of core business courses and information systems (IS) courses. Managers in this field must be comfortable with both technology and working with others to accomplish business goals. The effective IS manager understands business functions, the latest technology and the programs available for solving particular problems. Classes from the M.S. in information system & technology management program are also acceptable, as well as some graduate level courses from the Department of Computer Science, with prior approval.